Whether it’s sake that you’re after, you’ve got a yearning for yakitori, or you’re going mad for some miso, here’s eight places around town where you can arigato yourself some of the freshest and most fun cuisine this side of the equator, in fusion, traditional or contemporary form. Get ready to feel as full as a sumo! Escapism at its finest, between the charcoal-blackened walls of this refined establishment you will be transported by all your senses to a place of true Japanese hospitality. 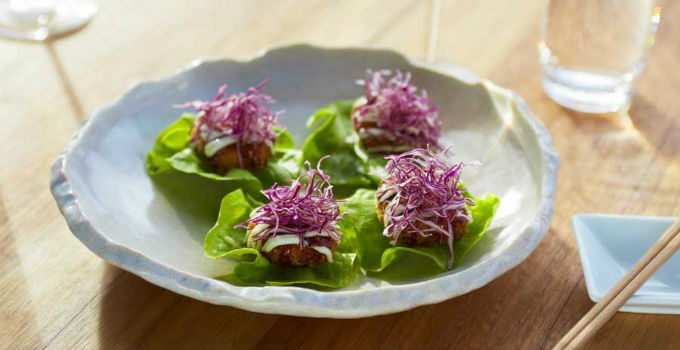 Alongside the decisive setting, the food as set out by Tokyo’s Kogi Ohori, into four different menus: Raw, Bites, Bigs and Greens. With the prawn doughnuts recommended by almost EVERYONE, their food is outstanding with a clear adoration for their craft. Oh, and whiskey, all the Japanese tasty tipples and an impressive wine list that boasts +100 bottles to complement each tasty morsel. This really is fine dining at its best. An experienced, world-class team of chefs pays attention to every detail to give you an experience like no other, whilst waitstaff can explain just what you’re in for and what wine will best complement your meal. Just a glance at the sushi menu and you’ll never be able to go back to stale California rolls from the food court. And with things like the Aburi salmon roll, pickled radish, blue swimmer crab meat and avocado wrapped with seared salmon and topped off with salmon roe, why would you ever want to? There’s no need to try (and probs fail) cooking your own authentic noodle soup at home: Taro will whip you up some real, steaming ramen to slurp up instead. Tonkatsu, noodles in a rich broth of Bangalow sweet pork bone that’s been stewing for 16 hours before it ends up on your spoon, is absolutely worth the work put into it. If you’re feeling a little adventurous, try the Tsukemen, cold noodles with hot dipping soup that you can drink up at the end, because that’s not bad table-manners, it’s how it’s done in Japan. There aren’t many things worse than dining with a friend, just to realise – *gasp* – their order is better than yours. Avoid this travesty at Yuzo & Co – not only can you not go wrong with their incredible selection of dishes, but for just $37pp you’ll be treated to a 5-course meal (what?) including popcorn shrimp, beef teriyaki and miso soup, and kingfish jalapeno. If that news has you sweatin’, cool your palate with a refreshing soft shell burger, complete with cucumber and tobiko mayo. The cool kid sister of Sono, Motto Motto literally translates to ‘more, more,’ and with all the amazing meals this place boasts, you’ll certainly be craving another chopstick full. Build-your-own-meal bento boxes (that’s lunch sorted for us!) and Vietnamese-inspired bread rolls stuffed with whatever meat, seafood or salad you’re feeling the need to eat will make your next shopping trip a tasty one. We suggest the potato salad roll, with smashed spuds, fresh green salad, Japanese BBQ sauce and mayo to top it all off: because potatoes are great as a side, but everything is always better wrapped up in a sub. Super cute and intimate, Bird’s Nest is the best place to be if you’re after great food to complement good conversation. With their specialty of yakitori, juicy skewers of meat or veggies, grilled to mouth-watering perfection over white hot charcoal, you can’t go past a set of several to share. Each set includes every bit of chicken, beef and pork you could ever crave, but we’re drooling over the pirikara fries, loaded with zinging Japanese seven spice and Japanese mayo. With dishes that are just as much to die for as the view of the river, dining at Sake is something you won’t forget in a hurry. The ocean barramundi is a thing of dreams, with the skin cooked ’til crispy and served with spinach, shiitake, and jalapeno butter. This place’s name doesn’t deceive, either: Sake’s wine, cocktail and (of course) sake list is designed to make your food pop in the best way possible. Settle down in Moga’s outdoor area for an à la carte feast of freshly sliced salmon sashimi, or the Camembert Katsu. That’s right, the daggy but delish dish that was served up at dinner parties long past gets a welcome twist, with Japanese bread crumbs, lightly fried zucchini and a spiced BBQ dipping sauce. Can you say cheese please! We’ll forgive you if can’t avoid the sushi train inside, though: the vibe is geisha-riffic, channelling old Kyoto in its design with an artisanal selection of craft sakes and beers to go along with your eats. The hard part, of course, is choosing! Can’t get enough of Japanese cuisine at lunch and dinner? Of course you can’t, because neither can we. Never fear, because Mizu is doing something you’ve probably fantasised about for a long time: serving up the only full Japanese breakfast in Brisbane every weekend! Run on in for the loco moco: a juicy grilled beef pattie, fried egg and salad piled on top of steaming rice. It’s sure to get you up and out of bed on those hazy, lazy Saturday and Sunday mornings. Dishing up some of the most insta-worthy food in town, SUKI is generally our go-to when we’re in the mood for something #healthy and #delicious. 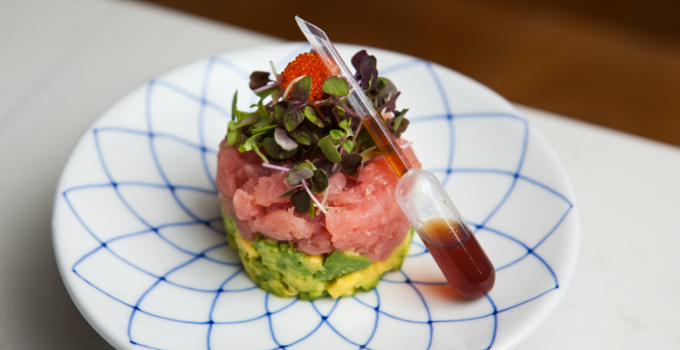 Famous for their ultra-trendy poke bowls and sushi burritos, this joint combines traditional Japanese flavours and mouth-watering innovation to create something that we can feel good about over indulging in. That doesn’t happen often. These guys are on a sushi roll (sorry, couldn’t resist). If you get a hankering for fresh and delicate sushi, you’d be soy crazy to go past Sushi & Nori. Whether you’re in the mood for a grilled kingfish roll, salmon sashimi or soft shell crab tempura these guys are great when you want authentic Japanese but lack the funds for a flight to Tokyo. Oh hai there, looking for some slurptastic ramen? Well look no further, because udon know how good Hai Hai is. 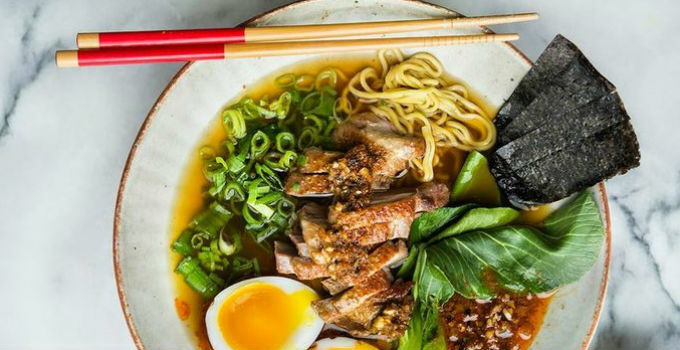 With ramen to satisfy vegetarians and carnivores alike, as well as steamed buns to mop up any excess broth (we don’t intend on wasting a single drop), we plan to spend A LOT of time here during winter. Make it a ramentic night out and bring your partner next date night. You know what they say- true love is pho ever. Who doesn’t love dinner and a show? We know we do, especially when the show involves the food we’re about to stuff our faces with. Kabuki offers a traditional teppanyaki experience, giving you the chance to watch with amazement as the chef sends your gyoza and Moreton Bay bug flying through the air while you try to suppress your stomach rumbles. 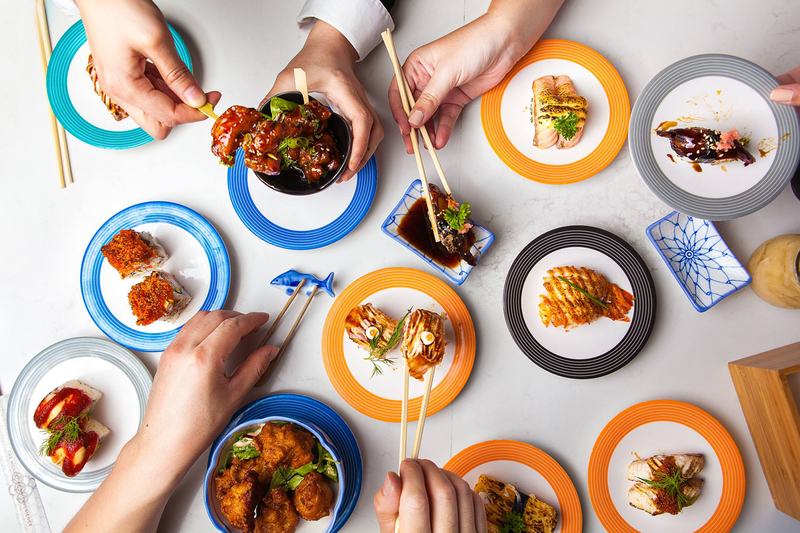 Say konichiwa to the best Japanese restaurants Brisbane has to offer!